She’s also starting to think that some doorways should never be opened. 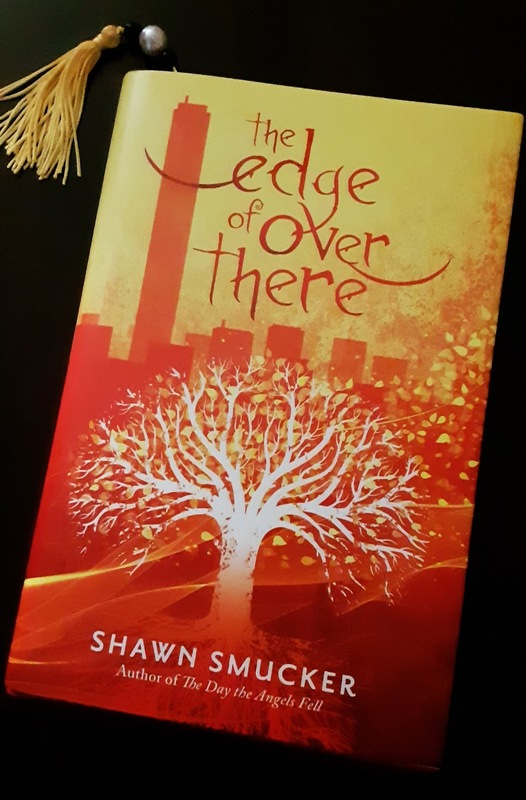 I was subtler with my wily ways in getting selected to review THE EDGE OVER THERE by Shawn Smucker, when this beauty popped up in our blogger group. This time, I relied upon my trusty lock-picking kit to unlock the door that leads to Kristine’s Super-Secret-Sign-Up Room and entered undetected. Unlike Smucker’s character, Abra, I do not have a key that can open, lock, and seal every door. 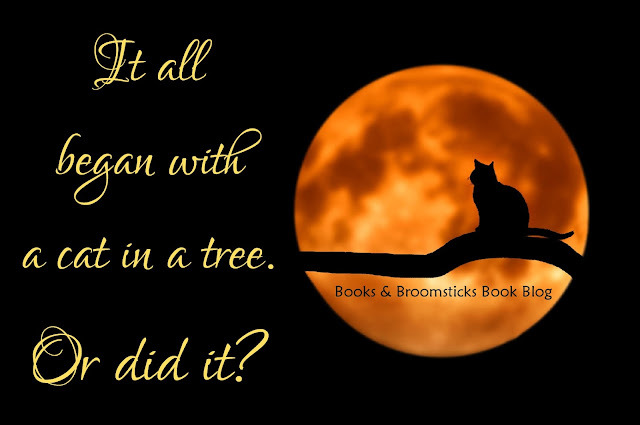 I had to rely upon my crafty, racoon-like ways in order to get chosen to review the continuing story that originally began with a cat in a tree … or did it? You’ll recall (I’m sure you haven’t forgotten!) 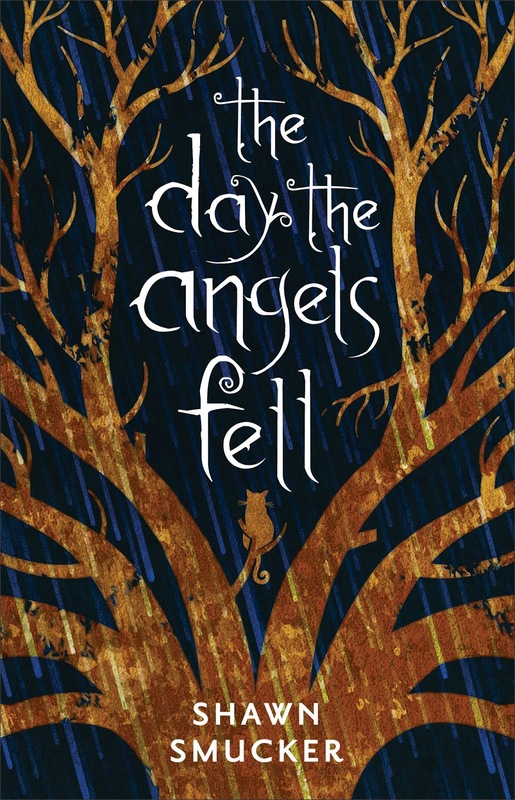 that I reviewed the first book in this series titled THE DAY THE ANGELS FELL last year. If you need a refresher, click here to pop over to the review. But be forewarned, for once you enter this story, you are bound to stay with it until you see it through to the end. Putting this story aside may very well be a mortal sin! Within these pages are forbidden doors, gates that should never be opened, pools that are windows to other times, and an ancient key that can open, close, and seal them shut … a key that isn’t really a key at all, but a sword that has existed since the beginning of time. And why should such a key exist, you ask (for I have asked the same question)? To extinguish the Tree, of course! My eyes shift, instinctively, to the blazing cover of THE EDGE OF OVER THERE by Shawn Smucker, and come to rest, as if drawn to it by some deep magic, on the ancient tree that has cast deep roots into the center of a strange, forbidden city that lies at the edge of Over There. I inhale a deep breath, thinking of all those trapped inside that city … thinking of how they’d gotten in there in the first place … and a shiver runs up my spine. 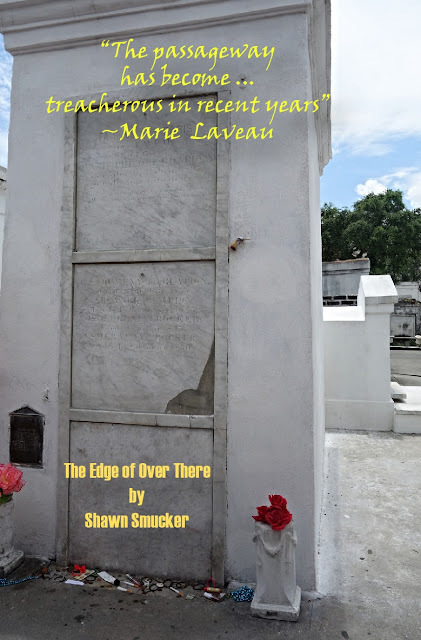 The tomb of none other than Marie Laveau serves as the door to The Edge of Over There. Can you guess who opens the door to allow entrance? I flip open the back cover of the book (gingerly, of course, because … as y’all know by now … I like my books to remain eternally new) and examine the photo of the author. 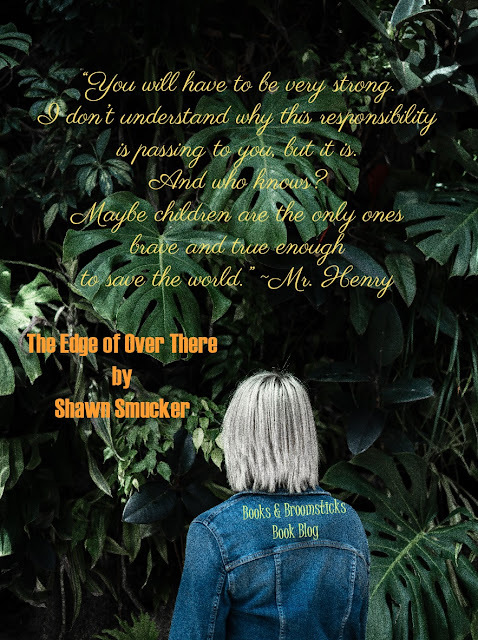 I squint my eyes and gasp at the realization that I’m fairly certain (though I have no concrete proof) that, like Mr. Tennen and Mr. Henry, Mr. Smucker is one of Them … the ones tasked with watching for a resurgence of the Tree. For I cannot … no … I refuse to believe this story to be a work of fiction. Frankly, it is too real! Of course, I could be wrong. But, just between you and me, I seriously doubt it. His characters are real, alive, and multifaceted. It is impossible for them to be merely constructed of words! Abra is a strong female character who wields an ancient sword that only two others have held since the beginning of time. 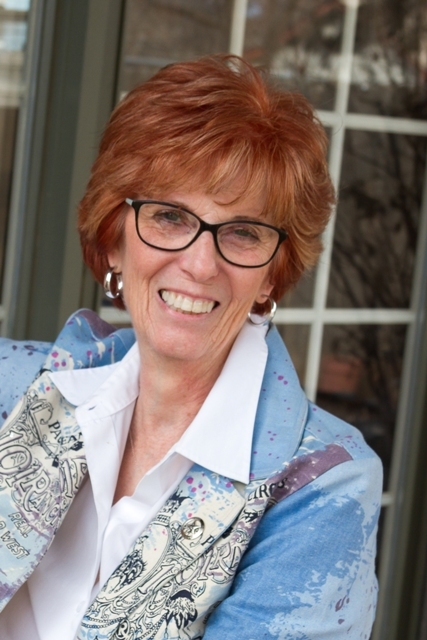 Like Harry Potter, she alone is tasked with saving humanity. I pause a moment and realize that I’m very close to giving away spoilers, and y’all know how I am loath to spoil a good story for anyone. There’s something to be said about a lesson or example. It’s never easy being the chosen one … but someone’s gotta do it. No more hints. STOP ASKING, DAGNABIT! Though THE EDGE OF OVER THERE is a sequel, it is written like a stand-alone. And as I’ve done in this review post, there are lots of Easter Eggs dropped throughout the book … enough to keep the reader informed of what happened before. I’ve got my trusty lock-picking kit at the ready for sneaking back into Kristine’s Super-Secret-Sign-Up Room, for I sense there will be another occurrence of the Tree. If you haven’t read both of Smucker's books, I urge you to do so immediately! 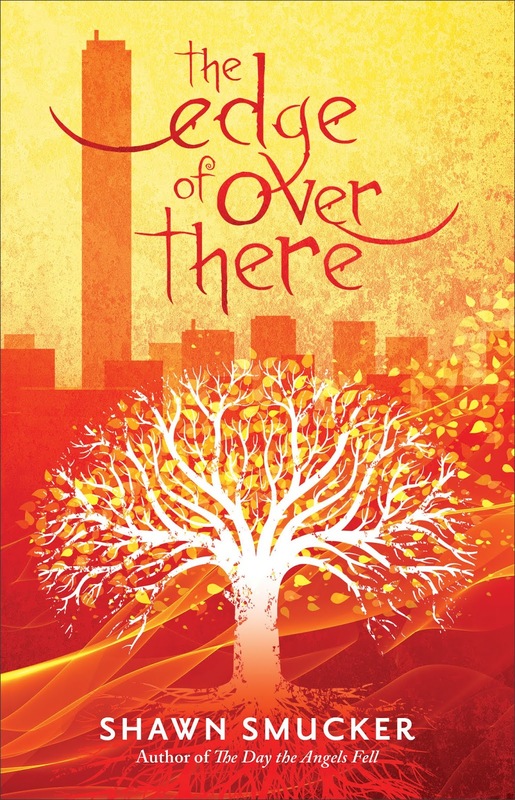 Stop dilly-dallying around, and grab a copy now so you’ll know what to look for when the Tree begins to emerge once more. 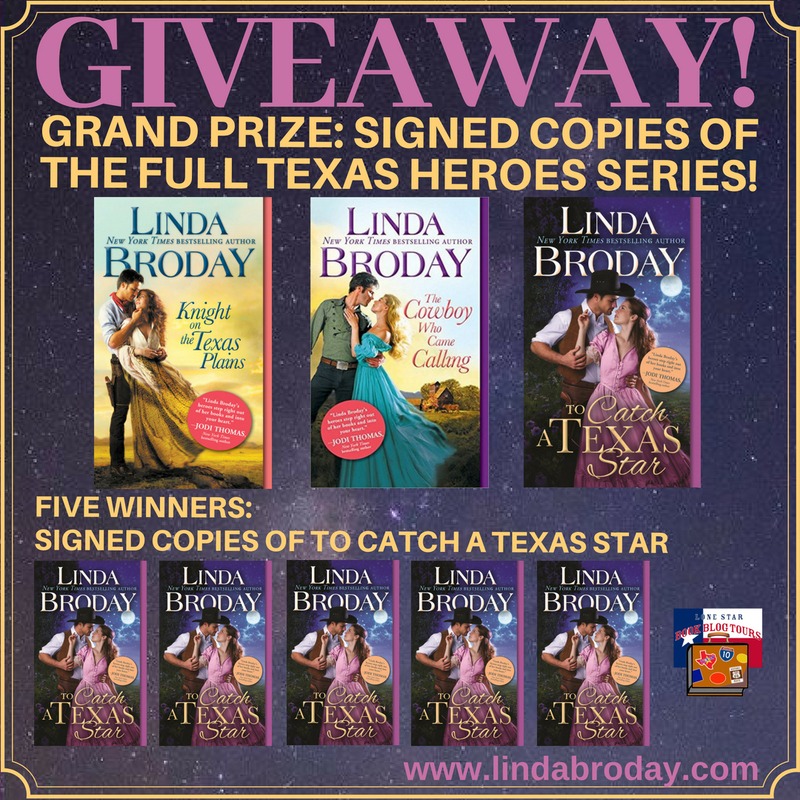 Oh, and don’t forget to scroll down and enter the very generous giveaway below! 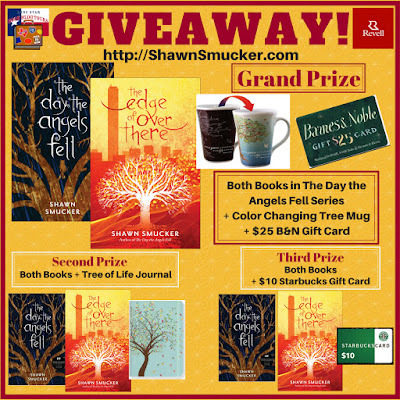 Shawn Smucker has done it again. He’s woven a story so mesmerizing that I slept no more than two hours together until I read the last sentence! 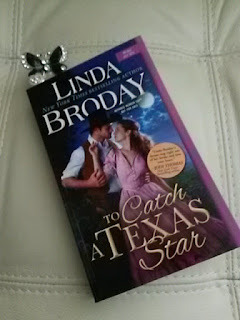 Y’all, when this beauty popped up in our blogger group for sign-up, I nearly tripped over my own cowgirl boots to review TO CATCH A TEXAS STAR by Linda Broday. Just between y’all and me, I may have (accidentally-on-purpose) knocked over one or two of my blogger friends in order to get to the front of the line. I ain’t ashamed, I tell ya! Now, this ain’t my first rodeo in reading and reviewing Ms. Broday’s work. Y’all can read my review of her book, TO MARRY A TEXAS OUTLAW by clicking right here. 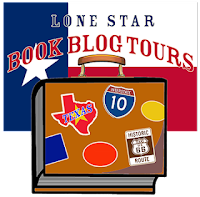 So, when I saw that Lone Star Literary Life was bringing her back on tour, I was over the moon like a shootin’ star, yo! TO CATCH A TEXAS STAR by Linda Broday arrived in my mailbox on a scorching hot Texas summer day (my personal favorite type of day, I might add). I knew I wouldn’t be dismayed, because 1.) 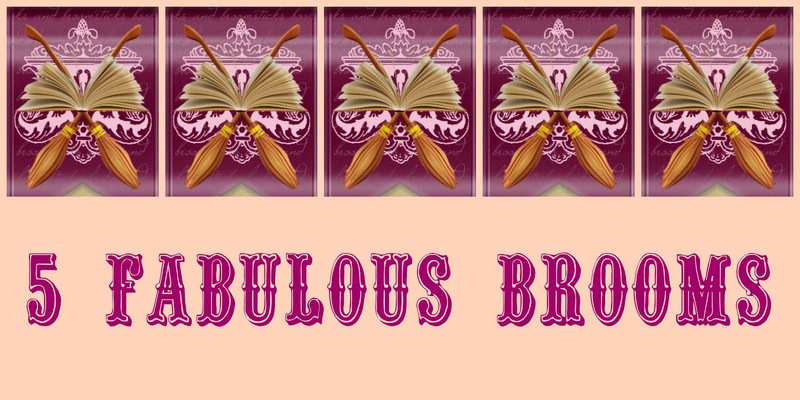 Broday’s cover art is always gorgeous, and 2.) She always sends an autographed review copy. Still, I held my breath as I tore open the envelope and gingerly removed the ARC. Gorgeous, isn't it??? Oh, you must see this in person to appreciate how lovely it is. And, oh, what is that?! 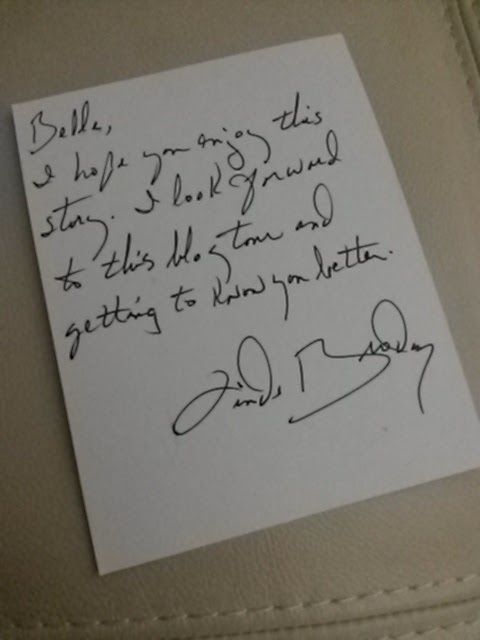 A SIGNED AND PERSONALIZED POSTCARD! YASSSSSSSS!!!!! 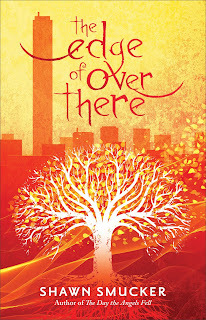 “Surely, she didn’t send a signed postcard in lieu and an unsigned ARC,” I thought to myself. Carefully, I turned back the lovely cover (‘cause, by now, y’all know I like my books to remain looking brand-spanking-new), and there it was! 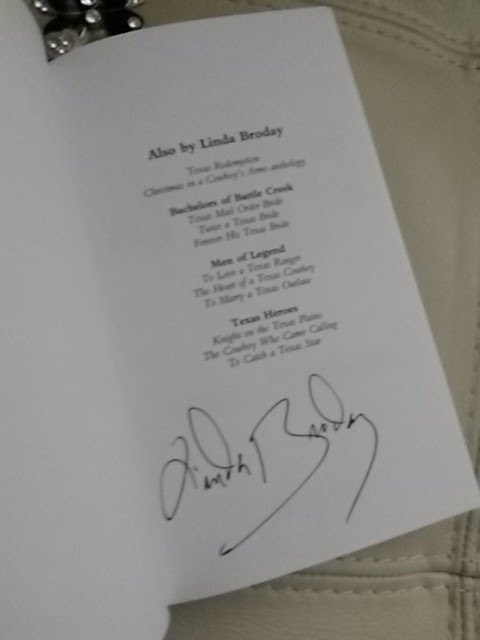 Her autograph! YEEHAW!!!!! 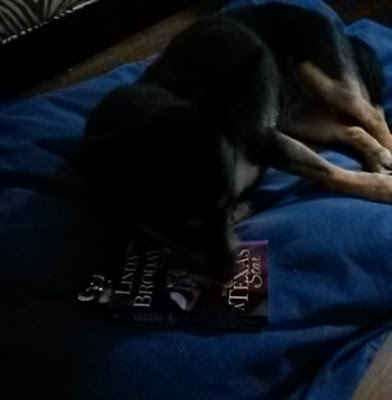 Even my doggie, Sascha Marie (who has her own Facebook page - click on her name to check it out), has enjoyed caressing this book with her eyes! Alright, alright, keep your hats on! I’ll get on with the review. Sheesh! 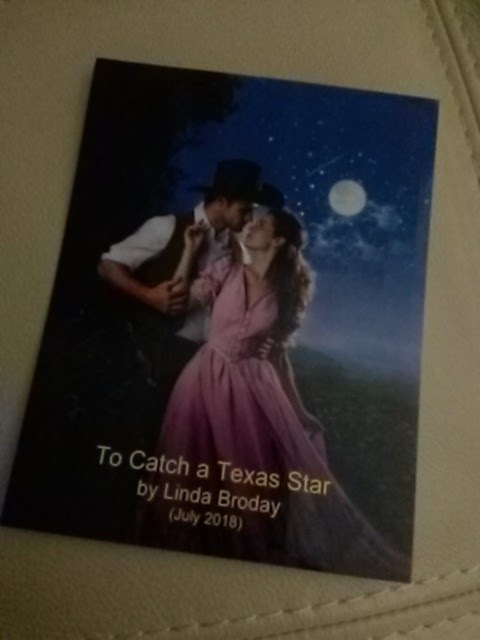 It’s the Fall of 1899 when the reader steps into this story and lands smack-dab in the middle of Central Texas (see what I did there?). 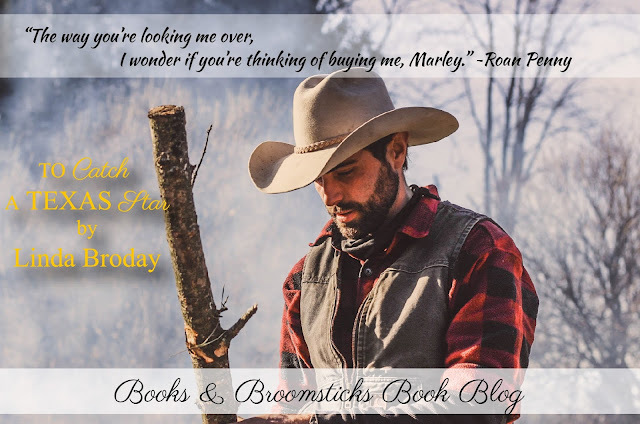 The first person the reader meets is a smolderingly handsome cowboy named Roan Penny. Now, Roan’s had a rugged life, but he hasn’t let it turn him into a bitter man with a hard heart. And maybe that’s because of his friend, a good ol’ fella named Mose who took him in and treated him like family…something Roan never really had before, well, except for the old lady his sorry father had given him to the day his mother died. It’s nighttime, and the moon is waning. That can only mean one thing to Roan: something bad was about to happen. And boy does it ever. I won’t give any spoilers here, ‘cause y’all know I never do. (Why do y’all keep asking me to?) But the harbinger moon brings some bad deeds and ends up leaving Roan for dead among the bushes far from Mose’s farm. Enter the lovely Marley Rose. She’s had everything that Roan’s never had: a happy home, family, and dreams. 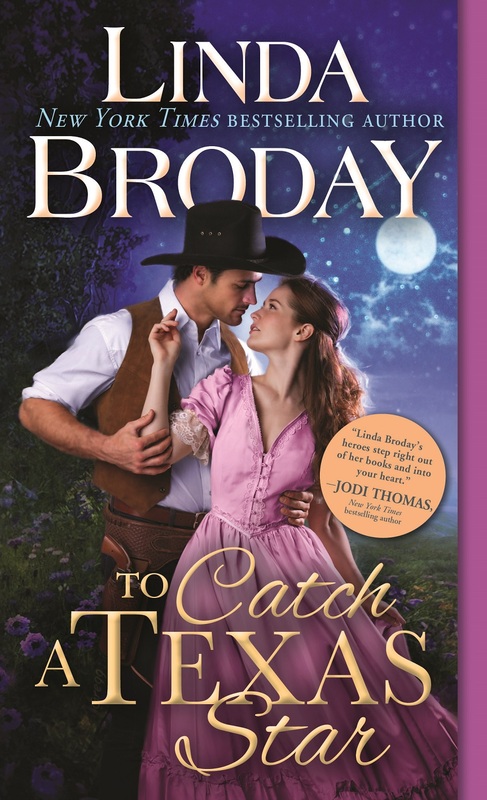 She rescues the man who looks more dead than alive and takes him back to Aces ‘n’ Eights, her father’s ranch. And that’s where it all begins! 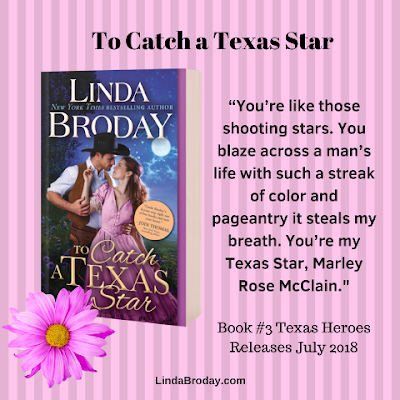 Will Marley Rose win over the heart of the handsome stranger she’d rescued? 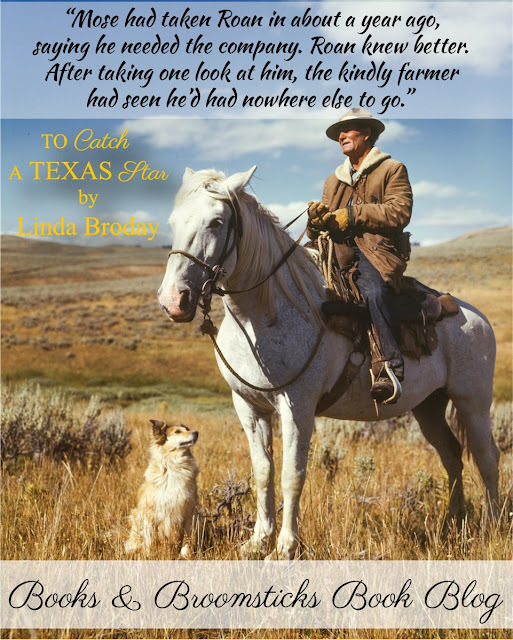 Or will Roan Penny decide he’s too much trouble for the lovely brunette who nurses him back to health in heart, body, and soul? What happened to his old friend Mose the night the moon hung low in the sky? I ain’t gonna tell y’all. But, I will tell y’all this – y’all’ve gotta read this book. I wouldn’t ever lie to y’all. 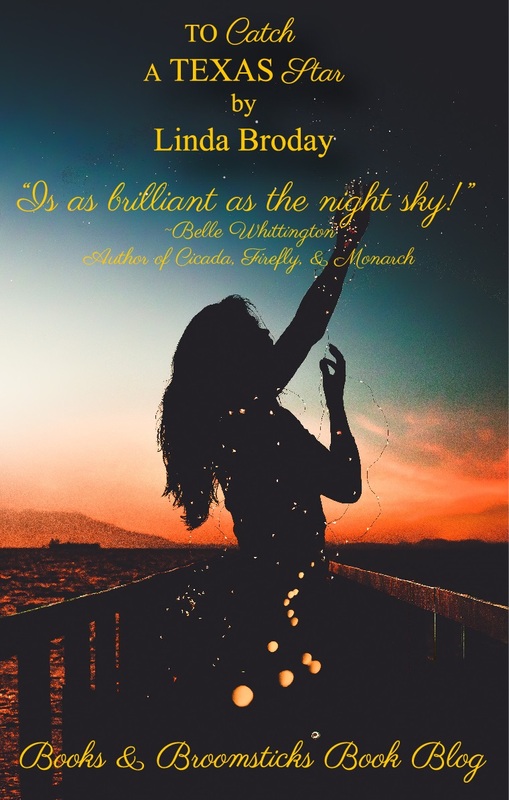 Ms. Broday’s writing is that comfortable, engaging style that lulls the reader into the story by degrees until, suddenly, the real world disappears and the words on the page become reality. 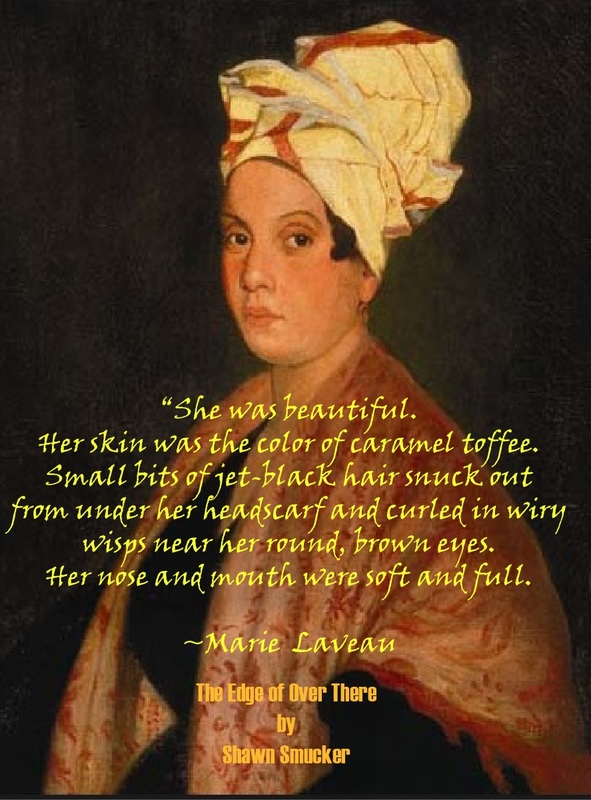 Her worldbuilding and character development is so rich, it’s delicious. So, brew up a strong cup of joe (‘cause this book will keep you up ‘till the wee hours of the morn), and snuggle in for a cozy read. 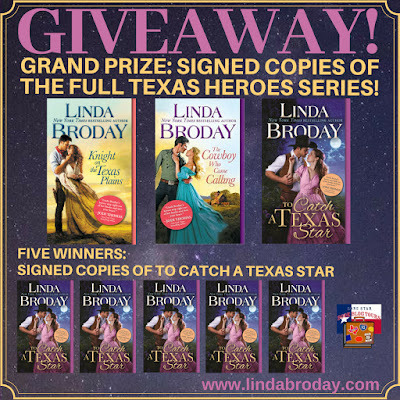 Oh, and don’t forget to scroll down and ENTER TO WIN a generous giveaway!!! is as brilliant as the night sky!